I've been obsessed with this house since I was a kid. 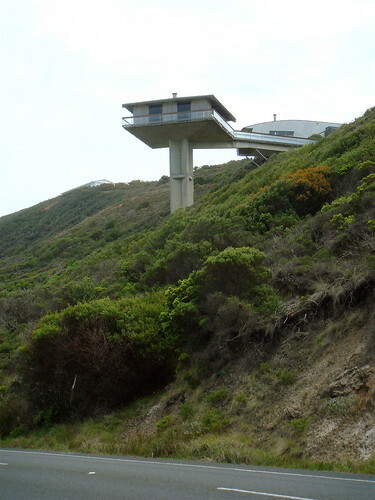 Anyone who has driven along the Great Ocean Road will recognize it immediately. The house-on-a-stick! I love the idea of living somewhere a little daring, a little precarious. A dangerous setting, but not a dangerous part of the world in which to live, you know? Via a quick web search, I learned that the house-on-a-stick is available to rent. Time to add a new item to that lifetime to-do list of mine.